Over the past decade, every year has been called “the year of the digital mortgage” by someone. This year, we agree. Concerns about housing affordability, inventory shortages, the projections of only a slight increase in new purchase originations, and the continuing decline in refis over the next few years are leading lenders to invest in eClosing technology now. These investments help them to gain competitive advantage, attract millennial buyers, and reduce origination costs. Past discussions of a truly integrated end-to-end digital mortgage process have been more conceptual rather than evidenced by meaningful volume in the market. However, in 2019, the increasing adoption of online application platforms such as Cloud Virga, Blend, Maxwell, Floify, Tavant, WiPro, and Roostify integrated with dynamic document generation of initial disclosures and eSignature efficiencies, are leading to lenders seeing the percentage of retail applications generated online increase. The move to digital means we are also seeing increasing adoption of technologies to facilitate the electronic closing of the transaction as well. The most adopted form of eClosing today is hybrid, where part of the loan process is facilitated electronically. At Docutech, we’ve recently collaborated with Movement Mortgage to enable the lender to streamline loan closings, reduce costs and optimize the experience for their borrower. The eClosing platform, which Movement has branded as EasySign, provides the lender’s customers an intuitive, convenient, and fast way to easily review and sign mortgage documents digitally. 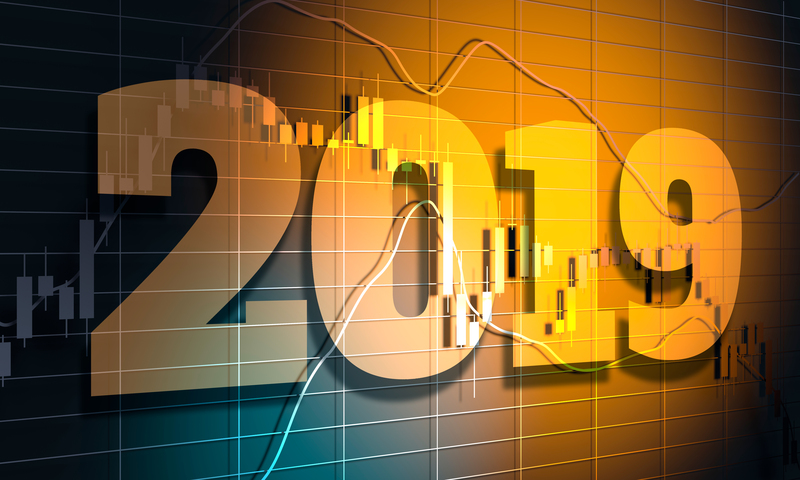 We see more lenders taking a similar approach in 2019 and beyond. While we are seeing increasing adoption of hybrid eClose solutions, the key component of a complete eClosing process and a true end-to-end digital mortgage is the acceptance of the electronic promissory note, or eNote. And when it comes to selling into the Secondary Market, eNotes provide undeniable efficiency benefits. While Fannie Mae and Freddie Mac have accepted eNotes for some time now, the country’s leading mortgage lenders are now also beginning to accept eNotes. And with the MERS eRegistry serving as the legal system of record for identifying the controller (holder), and location (custodian) of the authoritative copy of the eNote, having digital access to easily register eNotes on the MERS eRegistry is vital. The housing industry has been mired in a lack of affordability for a while now, and it doesn’t look like any clear relief is coming. Interest rates are expected to continue rising, although perhaps not as much as was originally thought. We agree that average mortgage interest rates will circle 5.3% in 2019. While this is low in the context of the 1980s and 1990s, most of today’s homebuyers have no memory of those high rates and compare the increases to the rock-bottom rates that dominated the past decade. Home prices are also predicted to continue increasing by 4.3% in the coming year — which would, however, be less than the 5.1% we saw in 2018. Price growth may slow further to 2.9% in 2020, but home prices are expected to continue creeping upward, scaring off a buyer’s market for the next few years. When homes aren’t affordable, the market becomes more difficult for both buyers and sellers. That being said, people are going to continue selling and buying in 2019, as they do every year, and the work of mortgage professionals will be to provide financing to those people ready to buy. That will depend on being able to quickly engage prospective borrowers when they indicate they are ready to begin seeking home financing. Getting disclosures out quickly serves to further engage the borrower and reduce their uncertainty. Affordability becomes less of an issue when the borrower understands they have the power to finance. We’ve been feeling the pinch of a housing shortage, and that is not expected to change next year, despite a 7% increase in housing inventory predicted for 2019. This moderate growth likely won’t be enough to satisfy demand, particularly if the new homes are not considered affordable. The inventory and affordability issues go hand-in-hand, as the majority of new construction is on mid- to higher-cost properties, while lower income individuals and first-time home buyers are being left behind in their need for lower cost homes. Freddie Mac Chief Economist Sam Khater recently stated, “If new home sales are to resume growth in 2019, builders may have to shift their focus to more modestly priced homes and smaller sized homes to help offset housing affordability concerns.” Not all builders are expected to take advantage of this opportunity, however. Again, the solution here is to be fast. When the consumer does find the perfect home, the mortgage process should begin smoothly and efficiently. Technology makes this possible. These affordability and inventory problems are expected to continue dampening mortgage originations in the coming years, with Freddie Mac expecting single-family originations to drop slightly to $1.62 trillion in the coming year, and again to $1.6 trillion in 2020. These are not huge changes, but they will be felt. Nonbank lenders have been shaken somewhat of late, with many of those that had been focusing on refinance business cutting staff or closing their doors. This could result in less lending competition for banks, but it’s also likely that the remaining lenders will turn their focus to purchase money mortgages, which will have the effect of increasing competition for the already decreased number of buyers in the market. Having good Point of Sale technology will make it easier for lenders to attract the interest of prospective borrowers, as well as the business referral partners they depend upon for mortgage leads. Millennials already make up the largest segment of the home buying population, and that is only going to continue into the future. Millennials currently account for 45% of mortgage originations, and 2020 is expected to bring the biggest boom yet in Millennial home purchases. These younger borrowers are all about technology. They expect to begin the process online, to receive disclosures and other documents electronically and, increasingly, are embracing online closings. This Millennial majority trend is likely going to continue for the next decade as they age through their 30s, and lenders will need to continue honing both their digital and personal communication skills to connect with this generation. This is a great opportunity for lenders, especially those that embrace the new technologies that are required to satisfy these new borrowers. Digital documents, electronic signatures, and online closings have all been embraced by this group. Lenders having these capabilities will do better at attracting them than those that do not.